Hayle received worldwide recognition during the nineteenth century for being a forerunner in the global engineering market and the world’s most important mining port. 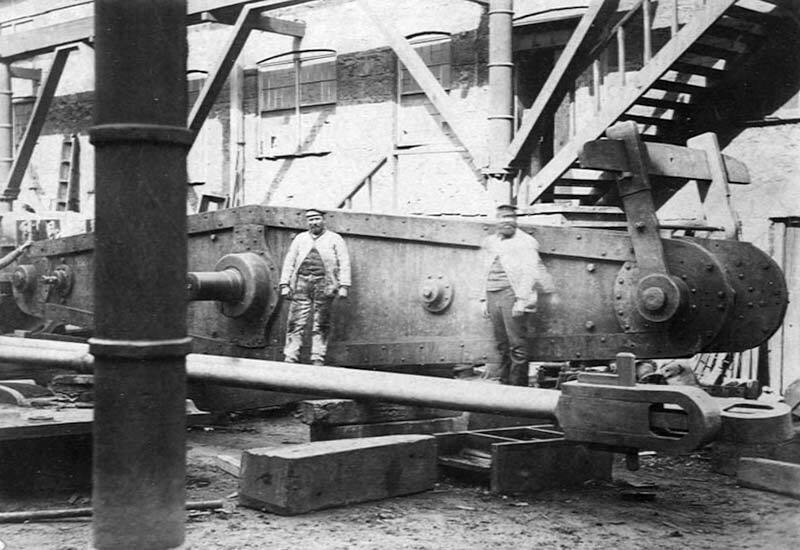 Beam engines made in Hayle’s two great iron foundries, Harvey & Co. and The Cornish Copper Company, not only powered the local mining industry but occupied engine houses as far afield as Mexico and South Africa. 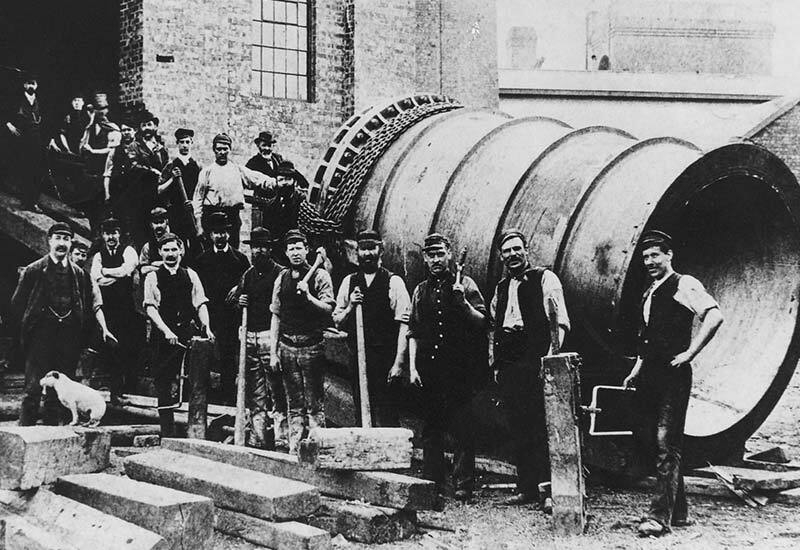 Harvey’s engines are also said to have helped defeat Cholera having, at one time, pumped 70% of London’s water. Despite these mammoth accomplishments, Hayle started small; in the early eighteenth century, its role was simply to serve as a convenient point to land coal from South Wales which was taken by mule to a tin smelter in nearby Angarrack. But its unrivalled location - a sheltered harbour on Cornwall’s treacherous north coast – proved attractive and by the 1740s the first modern quay was constructed to efficiently service the growing mining industry. In 1758 the Cornish Copper Company (CCC) moved from Camborne to Hayle and set up a copper smelter at Ventonleague. In 1779 John Harvey, a blacksmith from nearby Carnhell Green, set up a small foundry and engineering works to supply the local mining industry. 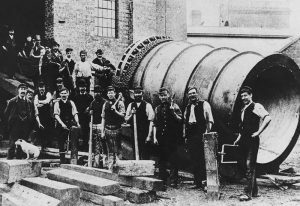 The company grew but it was when John Harvey’s son Henry took over that business really flourished; by the early-to-mid nineteenth century Harvey’s of Hayle were at the height of their success, working with prominent Cornish engineers such as Richard Trevithick and Arthur Woolf, and producing machinery to be shipped across the globe. By this time CCC also operated as an iron foundry and the two companies were fierce rivals. 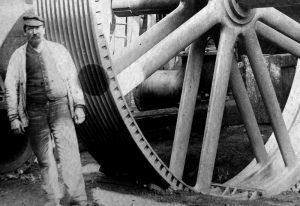 As the mining industry declined, both companies suffered and Harvey & Co. acquired CCC. In 1903, Harvey’s own foundry and engineering works were shut but the company continued to operate for many years on site as a successful builders’ merchants. Despite this, both companies have left a tangible legacy. One example is the Cruquius Engine, preserved in situ at the Museum de Cruquius in The Netherlands. 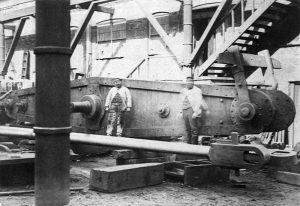 This is the largest beam engine in the world and Harvey & Co.’s most important contract, built to drain the Haarlemmermeer in order to reclaim land from below sea level and increase the country’s agricultural output. Another example is the chain links of the Clifton Suspension Bridge, designed and built by the Cornish Copper Company and commissioned by Isambard Kingdom Brunel himself who was impressed after a visit to the foundry site. Hayle is indeed a charming harbour town with three miles of beautiful golden sands, but scratch the surface and you’ll discover its mighty past: a small town with a big story to tell.